The Seattle City Council on Monday affirmed that city employees have the right to take an unpaid day off work to attend May Day activities, without retaliation. The Seattle City Council on Monday voted unanimously for a resolution affirming the right of city employees to request unpaid leave to attend May Day activities. 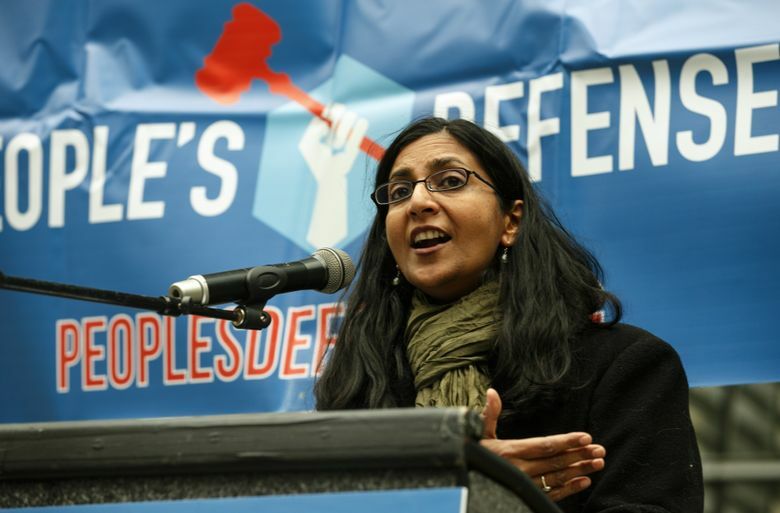 The resolution brought forward by Councilmember Kshama Sawant also proclaims May 1 to be a day of action for worker, immigrant and refugee rights. And it asks all city departments to inform employees of their right to request time off for a reason of faith or conscience. May 1 is International Workers’ Day and is a day on which immigrant-rights events are held in Seattle and other cities. The resolution notes that a state law gives public employees in Washington state the right to request two unpaid holidays per year for a reason of faith or conscience, or an organized religious activity. The law says an employee must be allowed to take off the days he or she wants unless the employee’s absence would impose an undue hardship on the employer, or the employee is necessary to maintain public safety. Councilmember Sally Bagshaw stressed that such time off is unpaid and said she hopes that May Day demonstrations are peaceful. “We have seen May Day turn into an anarchist field day the last number of years,” Bagshaw said before the council’s vote. Councilmember Tim Burgess said the resolution “does not encourage any workers to strike and not attend to their job duties,” while Councilmember Lisa Herbold thanked the unions that represent city employees for their input. Last Friday, Mayor Ed Murray’s director of operations, Fred Podesta, sent an email to the city’s employees about May 1 and the annual May Day march for labor and immigrant rights, which is expected to begin at 1 p.m.
“If you wish to participate in this march, please ask your supervisor in advance, as you would for other leave time,” Podesta wrote. Asked about May 1 at a news conference on Monday, Murray said the city’s employees should do what they believe is best. The mayor said he plans to take part in May Day activities himself. In March, Sawant and Councilmember Mike O’Brien wrote an Op-Ed for the South Seattle Emerald in support of a potential May Day strike by the union that represents teachers at Seattle Public Schools. But members of the Seattle Education Association subsequently voted against striking.